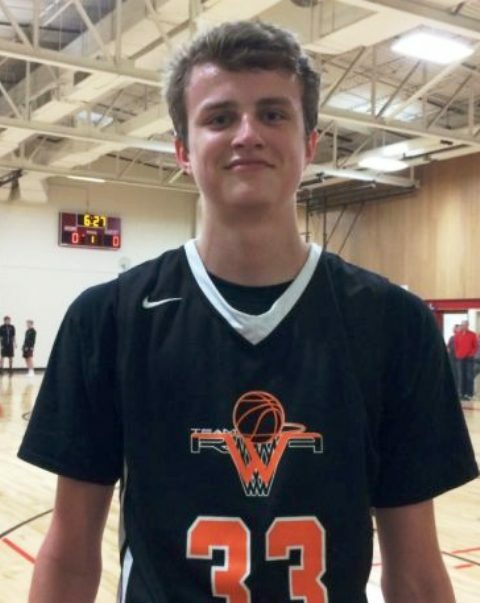 Already receiving a mix high and mid-major attention, New Lenox (Ill.) Lincoln Way West 2020 F/C Nate Seputis is going to a prospect college coaches want to pay close attention to in the coming years. A skilled, versatile post prospect who’s still only scratching the surface, Seputis picked up his first offer from UTEP in August. Seputis is receiving interest from Illinois, Wisconsin, Washington, Houston, and Wisconsin-Milwaukee. The 6-foot-10, 200-pound sophomore visited Wisconsin earlier this month. "I thought it was really cool," Seputis said. "I went around the whole stadium and the locker room. Just seeing how many people came out to a scrimmage, it's a really good environment. "I feel like I would fit into their style of play. They have a good format of basketball. They also develop you really well." Seputis is comfortable at a number of positions early in his career, including the ‘3.’ Aside from a budding versatile skillset, Seputis is a competitor on the glass and around the rim. Throughout the spring/summer, he continued to show flashes down on the block and on the perimeter. Keep a close eye on his production this spring as it’s only a matter of time before his recruitment takes off. Seputis plays for Team RWA during the travel season.